Santa Rosa holds a lot of beauty in the northern part of California. Located in the heart of Wine Country, it’s surrounded by rolling hills, colorful vineyards and decadent wineries, while being a mere 45 minutes away from the ocean. 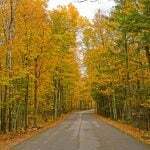 But more than that, it’s the past and present home to some of America’s favorite family heroes, putting the small town on the map as a place to know and visit. There’s a good chance your child is familiar with Charlie Brown – the little round headed kid who owns a quirky dog, has an apparent feud with kite-eating trees, holds an unfortunate trust in a football holding girl who bosses him around, and harbors a crush on a mysterious red-haired girl who never gives him the time of day. For 40 years, Santa Rosa was the home of Charlie’s creator, Charles M. Schulz, the man who poured his personal life into the humorous misfortunes of Charlie Brown and his friends. 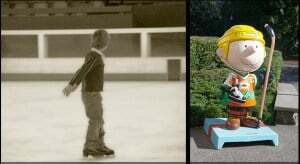 It was in Santa Rosa that Charles Schulz built the Redwood Empire Ice Arena to feed his (and Snoopy’s) love of hockey. It’s affectionately known as Snoopy’s Home Ice to the locals, and offers general ice skating, private and public figure skating lessons, and regular hockey games. Charles Schulz was seen regularly in the ice arena during his life – both on the ice in hockey games, and off the ice in the Warm Puppy Café at his favorite table. And 11 years after his passing, the memory of the creator still lives within the walls of this popular arena. Admission to the Redwood Empire Ice Arena is $7 for kids 11 and under, $9 for adults, and $3 for skate rentals. But the best time to skate is Monday – Thursday, noon till 2pm, and on Saturday nights, when prices are only $5 per person (including skates). 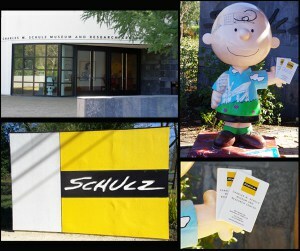 Next door to the ice arena is Santa Rosa’s homage to Charles Schulz and all his creations, the Charles M. Schulz Museum. The museum was in talks to be built even before Charles Schulz passed away in 2000. After his passing, his wife Jeannie Schulz, cartoon historian Mark Cohen, and longtime friend and attorney Edwin Anderson made the museum a reality. Today, the museum is a favorite place for families to go and view the original and printed works of Charles Schulz, be entertained by the happenings of Charlie Brown and the gang, attend classes and demonstrations, and view permanent and changing exhibitions. Right now, the museum takes a look at siblings as depicted through cartoons in their “Siblings in Peanuts” exhibition that runs until June. There is also a gift shop to buy Charlie Brown themed gifts and souvenirs to bring back home. Admission to the museum is $10 for adults, and $5 for kids 5-18 and seniors 62+. Kids under 4 are free. 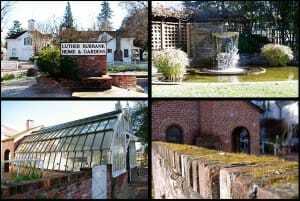 Garden loving families will enjoy a visit to Luther Burbank’s Home and Gardens, the Santa Rosa home of famed botanist Luther Burbank. Burbank purchased a plot of land in the center of town where he proceeded to crossbreed plants in botany experiments, creating hundred of fruits, vegetables, trees, and plants that the world knows today. His home still stands in its original space, and is open to the public. Guests can walk the grounds, peruse the gift shop, and learn about his work and life through tours in the gardens, greenhouse, and his home. There is even a replica of Burbank’s office, and at Christmas time the whole house is decorated to reflect the season for special tours conducted around that time. A walk through the gardens is a step back in time, viewing the many different plants that Burbank made possible, changing the botanical world forever. The gardens are open year-round, and admission is free. Guided tours are conducted until dusk from April until October, as well as during the winter holiday season when workers dress up in colonial costume and get into character. And of course, we have a couple of hometown foodie heroes as well who appear to be taking over the Food Network. By now, everyone has become very familiar with the spikey-haired Guy Fieri, the chef who made his name known outside of Sonoma County on the Food Network, and is now the host of “Diners, Drive-ins, & Dives”. But here in Santa Rosa, he is the owner of popular restaurants Johnny Garlic’s and Tex Wasabi’s. Johnny Garlic’s offers eclectic menu choices, like the Sashimi Won Tacos (ahi tuna in a taco), Maui Onion Straws (battered onion strips), and the mouthwatering American Kobe Sliders (juicy mini burgers). 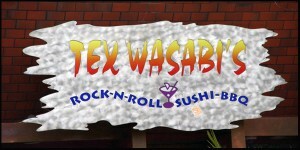 Tex Wasabi’s is currently under renovations, and is closed until they are completed. But when it opens again, it is the place to go for sushi with a rock n roll edge. Think BBQ Hard Metal fused with delicate Oriental simplicity. The taste is highly addictive. And it’s a great way to feed the kids something sushi-like that’s on the cooked side. If sushi isn’t your thing, there are plenty of American entrees to choose from. And a trip to Santa Rosa isn’t complete without making Sift Cupcake & Dessert Bar your last stop. This sweetheart of a shop was recently featured on Cupcake Wars on the Food Network, owning the challenge hands down with their delicious cupcakes that all of Santa Rosa has known about for awhile. Famous first for their cupcakes, they offer flavors like Ooh La La (Red Velvet), The Sky is Falling (chocolate, chocolate, and more chocolate), Snickerdoodle (just like a moist cookie, and my family’s personal favorite), and Car Bomb (a little chocolate, a little Guinness and Irish Creme, a whole lot of YUM). And their dessert bar is overflowing with desserts like Cupcake Truffles, Profiteroles, and gluten-free French Macaroons. Speaking of gluten-free, every Wednesday they offer gluten-free cupcakes for those with dietary restrictions. 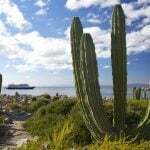 Enjoy your gorgeous and delicious trip to Wine Country’s Santa Rosa, California! Crissi Dillon is the mom of a teenage daughter and a tweenage son. When she’s not embarrassing the holy heck out of them by just being their mom, she’s writing about them at winecountrymom.blogs.santarosamom.com and moderating the forums at SantaRosaMom.com, a parenting community for families in Santa Rosa, California. 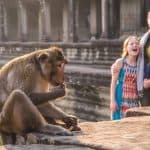 Trekaroo is a reviews website dedicated to exploring and traveling with kids. 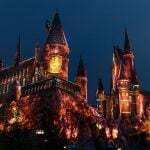 We spent two days there with my family last May and we had the time of our life. We really felt we were in Africa. 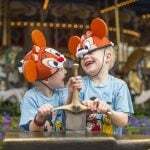 The staff is amazing, the other guests are charming, and the children have a blast. That is definitely a place to not miss! I decided to go with a “Hometown Heroes” theme, but if I do a follow-up piece on Santa Rosa, Safari West will top my list! Very good blog. thank you very much for your time in writing the posts.